Posted on WTA thread- obviously Martina entitled to make the decision as she sees fit, however obviously disappointing that Jamie's partnership with her in the mixed won't continue. Last edited by JAMES4578; 26-10-2017 at 20:30. Agreed Alis, I think Jamie will be very disappointed. Such an asset to the doubles circuit. "For the 32-year-old Murray, the win marks his 350th doubles match win and his 20th tour-level doubles title. He and Soares have now won seven tour-level trophies (7-6) as a team, including back-to-back Acapulco crowns, the first time they have defended a title together since joining forces in January 2016 at the Qatar ExxonMobil Open in Doha." Last edited by harriet; 04-03-2018 at 14:13. Jamie Murray, Andy’s elder brother is far more successful and yet he is never recognised as the better player and always stands in his shadow. 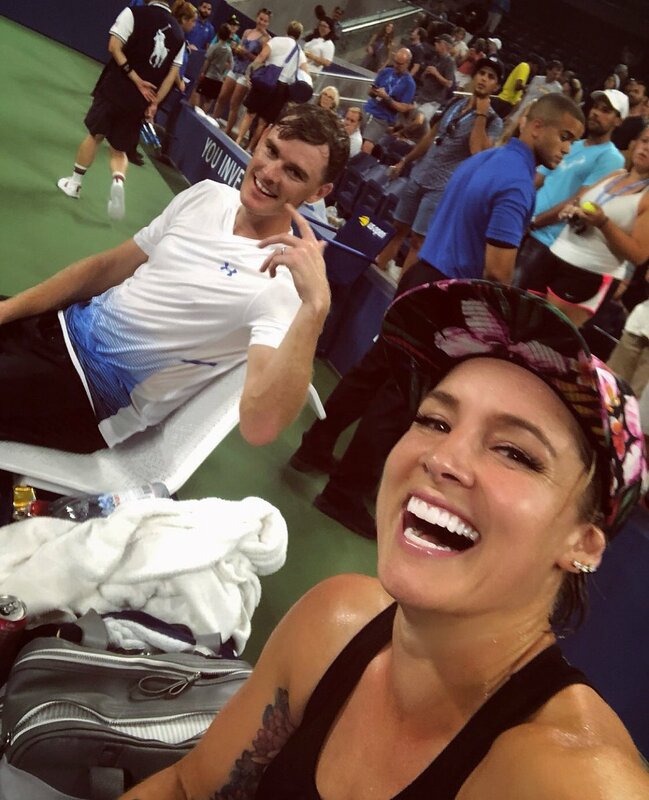 Jamie has won six Grand Slam titles: in mixed doubles at the 2007 Wimbledon Championships, with Jelena Janković, the 2017 Wimbledon Championships and 2017 US Open, with Martina Hingis, and the 2018 US Open, with Bethanie Mattek-Sands, and in men’s doubles the 2016 Australian Open and 2016 US Open with Bruno Soares.